Planned Professional Development Sessions: archival research; social media for academia; publishing journal articles; the Viva; and from PhD to monograph. 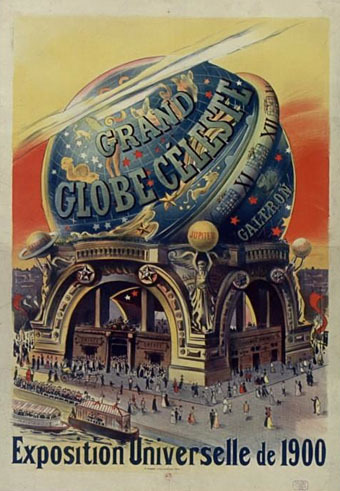 ‘Tout le Monde à Paris’, proclaimed a poster for the 1900 Exposition Universelle. The world on your doorstep; the global meets the local through a cultural conduit. A century later, and with the World Wide Web in your pocket, the global has never been more connected to the local. Conceptually these terms are antonymous: the local is specific, on a small scale, and often suggests civic or regional affiliations to a place; the global is universal, world-wide, and lacks definitive spatial rooting. Yet considering the local and the global as opposites may belie the potential impact that they can have upon one another. French schools teach history and geography as a single subject: histoire-géographie. Place, therefore, informs how history is conceptualised, understood, written, and taught. Place can also be central to cultural production: the backdrop to a literary or cinematic plot, the principal subject for painting or photography. Recent advancements in the study of other, non-European, cultures, particularly through postcolonial studies, have opened avenues that foreground the comparison of histories and rethink the centre-periphery. Scholars in Humanities are beginning to look beyond a national organising principle towards the transnational. The global is an increasingly useful category for historical analysis; Translation and World Literature are growing disciplines. Yet, despite this cumulative emphasis on the global, the recent Scottish Referendum debate, which elicited interest in contested Francophone regions in Europe and Canada, demonstrated that local sentiments still remain strong for many. How, then, does current scholarship understand the intersection between the local and the global? Is it possible to adopt a global approach without losing sight of the local? Must we reconsider our understanding of local or even national history in light of these recent theoretical developments? The conference is generously funded by the Society for the Study of French History and the Association for the Study of Modern and Contemporary France. In order to offset the costs of holding this event, we kindly ask that speakers and students in attendance join one of the societies if they are not already a member. Both societies offer affordable rates for postgraduates with membership benefits. Some travel reimbursements will be made available for speakers. Proposals/abstracts of no more than 250 words, either in English or French, should be sent to frenchpg2015@gmail.com. The deadline for submissions is January 9, 2015. Informal enquiries also welcome.